Classical Remix holds an annual Playwriting Competition. Students (grades 3rd , 4th ,5th) submit original short plays to the Collective and a team of professional playwrights and theatre artists carefully read and analyze each submission. Through a delicate process, a winner is chosen. Depending on how many actors are required for the chosen play, the Resident Artists of the Collective come together to read and rehearse the play. 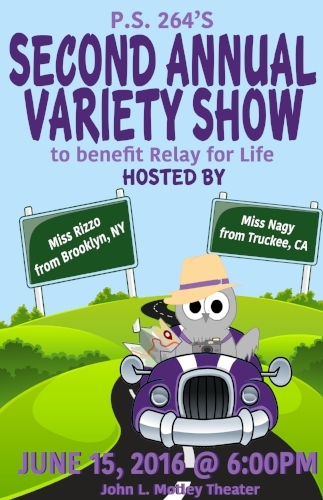 This ultimately ends in a performance during Relay For Life’s Annual Variety show- held at P.S. 264 in the month of June. P.S. 264 is in partnership with the Bay Ridge Relay For Life fundraiser. 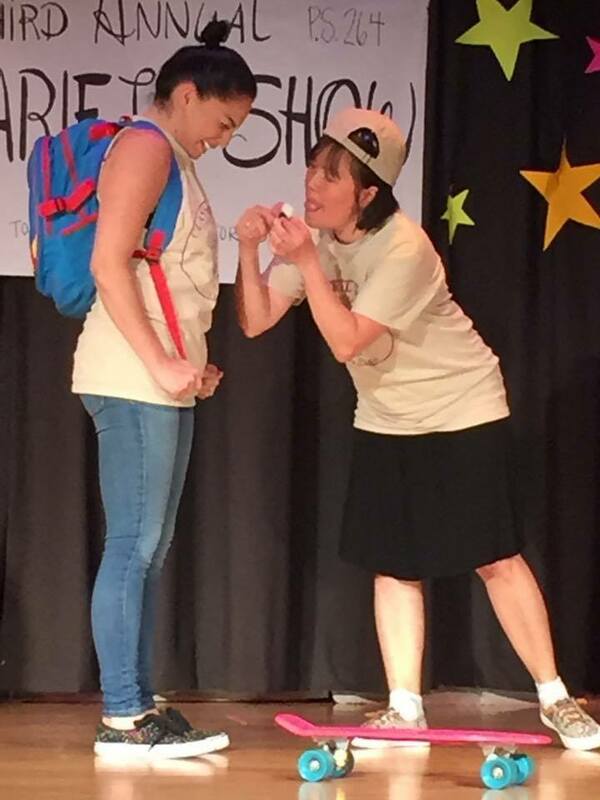 Team Leader, Joann Rizzo, hosts an Annual Variety Show (talent show) that raises awareness and donations for the cause. Classical Remix’s Playwriting Competition is solely volunteered base, and it is the Collective’s way to contribute towards the Relay For Life fundraiser. Amelia did not do well on her spelling tests. Luckily she will have a chance to retake them! She really needs to study, and her friends are here to help. Will she be able to study hard enough though? When a group of students at P.S. 264 run into trouble with a bully, they are granted the courage and super abilities to make their school a safe zone. With the help of the Principal, it is the job of the Super Students to teach a valuable lesson. In good times, in bad times- friends are supposed to be there for you. Everyone says that as we get older, it’s harder to keep in touch. Are friendships in jeopardy? Or are friendships forever? When two lions must defend their kingdom, will they be able to rise above the obstacles? Only time will tell.